9 years experience as business owners for Star Sales and Leasing Inc.
Hello, I’m Danielle Jackson, real estate agent, with Mike Thomas Associates. I’m a University of Toledo graduate. My professional credentials encompass over 15 years in the auto industry, including four years in sales and financing at Lexus of Fort Wayne, as well as over nine years as owner of Star Sales and Leasing Inc. When you work with our team, you’ll be able to experience the best real estate transaction possible. We patiently work with you until you find satisfactory results. We’re friendly, professional, and incredibly organized. We keep you focused on what’s most important. It can be a challenging period in your life, but we’ll step in and step up to assist you in achieving the ideal solution for your transaction. We’re supportive and staying connected with sincere care and concern. You’ll experience stellar, exceptional service. We're kind and consummate professionals who are going to get the job done quickly ’for you. We take as long as you need because we have endless amounts of patience and you’ll never feel pressure to decide on something. 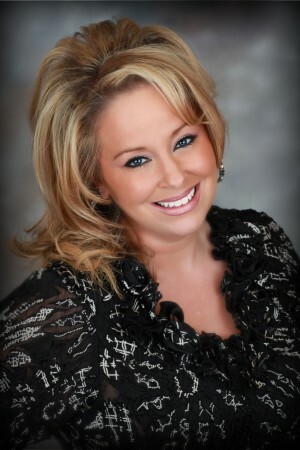 I’m Danielle Jackson, real estate agent. I’m a proud participant in the Steuben County United Way Day of Caring. I’m also a member of the Angola Chamber of Commerce. I know you’re going to love working with our team because we’re easygoing, yet detail-oriented when it comes to your needs. For example, if you’re buying a home, you’re going to find it right away with us by your side. We're happy to explain things to you, going through the numbers and details to help you purchase a home. If you’re thinking about selling your home, we’ll walk you through the stages as well, securing an excellent deal to ensure that you get the maximum value for your sale. You need a team as passionate as ours that’s going to take care of your goals, taking time to explain everything as we move forward. Having a strong team in your corner is vital to having your offer accepted. We protect your interests throughout the process, staying on top of deadlines and keeping the lines of communication open. We’ll meet with you at odd hours if that’s what your schedule allows. Our familiarity with the process and genuine hard work will get you where you need to be here. Reach out to our office for a courtesy consultation! 4 bds • 2 ba • 1,372 sqft • 0.44 acres This is a great fixer upper with big back lot included. 4 bedrooms, 2 full baths and a beautiful level lot with detached garage and 75 feet of lake frontage. Home is sold as is but has been used as a rental in the past. Furnace was just serviced.